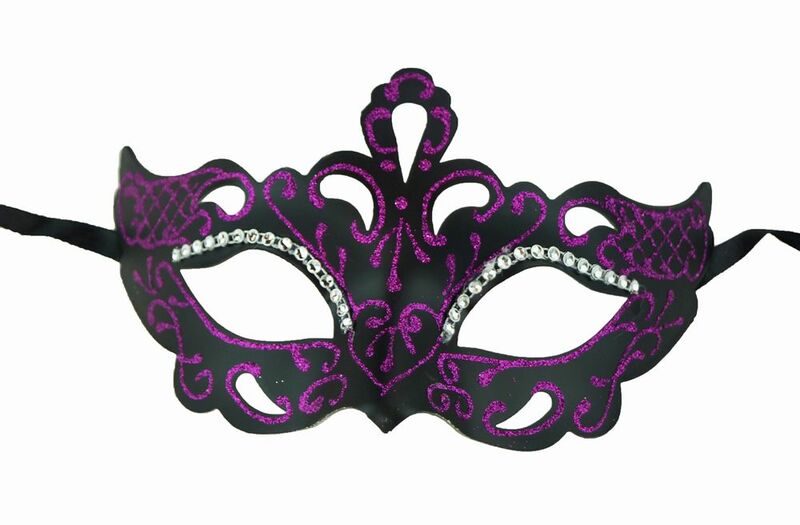 Princess mask is hand painted swirl design with black glitter and decorated with a faux rhinestone detail. Easy to wear with black ribbon ties. Made out of a durable plastic core.